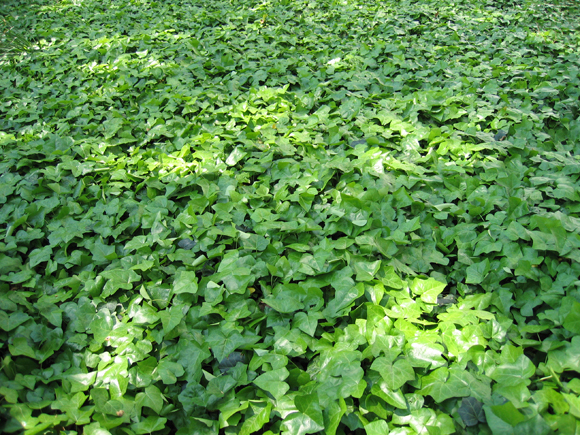 English Ivy, or Hedera helix is ideally suited for the park's environment. This hardy ground cover withstands sun and shade, which allows us to maintain a symmetrical garden design despite different levels of sunlight throughout the park . It is also pest-free and resistant to colder temperatures, providing year round greenery in the park. 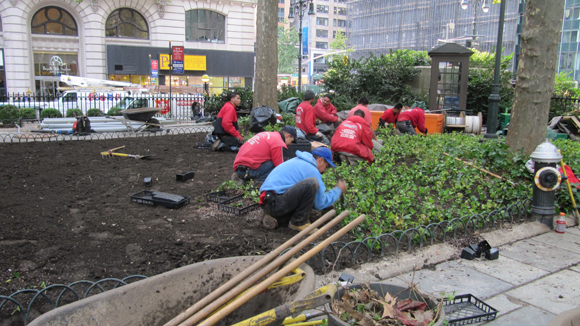 After a long season of construction, the park's signature ivy beds took quite a beating. 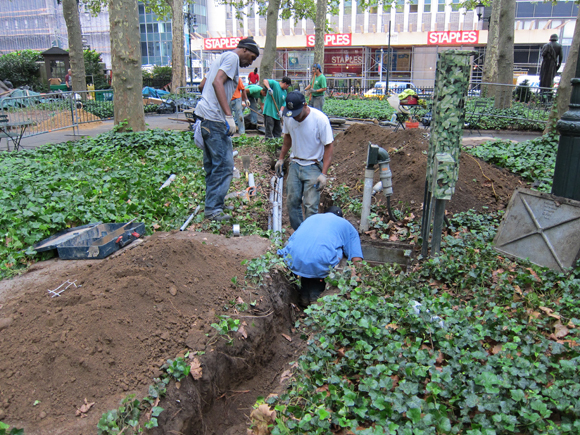 Despite our best efforts to leave the ivy unharmed, many of the ivy expanses on the south side of the park were used for storage of construction materials, while other sections were dug up, as we laid new electrical wiring and converted our lamp posts to double-headed light poles. BEFORE: This type of electrical trenching caused damage to the ivy beds. As soon as electrical work was completed, our horticulture team set out to restore the damaged ivy beds. Throughout the fall, they prepped the damaged areas with fresh soil, and then painstakingly placed each ivy plant. 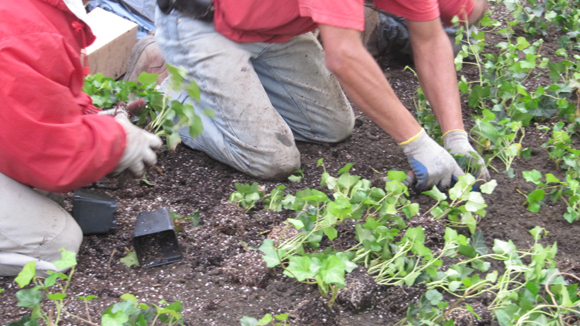 By the end of the restoration, over 11,000 ivy plants were added to the grounds.